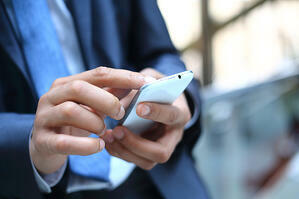 Employees often bring their cell phones to work, a choice that could potentially cause numerous hazards on the job. Cell phones can be a dangerous distraction in the workplace, just like other workplace distractions such as horseplay and chattering with co-workers cell phones can cause us to lose focus on the task at hand. When used inappropriately these devices can get employees in trouble at work as well as potentially cause serious injury. Equipment Accidents—when employees have access to equipment such as forklifts, bulldozers, and other heavy machinery using a cell phone on the job could be disastrous and cost someone their life. An employee could be glancing down to read a text message and accidentally run over another employee or into another vehicle or building. These accidents can be quite costly for an employer and very dangerous for other employees. Auto Accidents—some positions allow employee access to a company vehicle, the privilege of a company vehicle for an employee should never be taken lightly as it leaves the employer vulnerable to liability should the employee cause an accident in the vehicle. Many people have been injured in cell phone related auto accidents, if this happens on company time or within a company vehicle the employer is a risk for the serious liability issues that coincide with an employee injuring someone because of distracted driving. Privacy Issues—an often overlooked issue regarding the use of cell phones in the workplace is a violation of privacy rights. Most cell phones are equipped with the capability of taking and sending pictures to other phones and email addresses, this put important business information and confidential operating processes at risk of being exposed. An employee could unintentionally violate another employees privacy rights by sending them picture of them or their property. This could lead to lawsuits or other forms of problems for the employer.